1) 7/8" or 1" anodized aluminum tube. 2) Single steel cross brace to provide stability. 3) One button release makes folding easier. 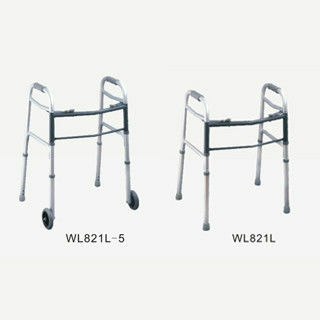 5) It is more convenient for moving with wheels. 6) The height adjustment for those without wheels:25"~32",39" in 1" increment.